Diamond Grind brings us one of the largest grinders we have ever seen. 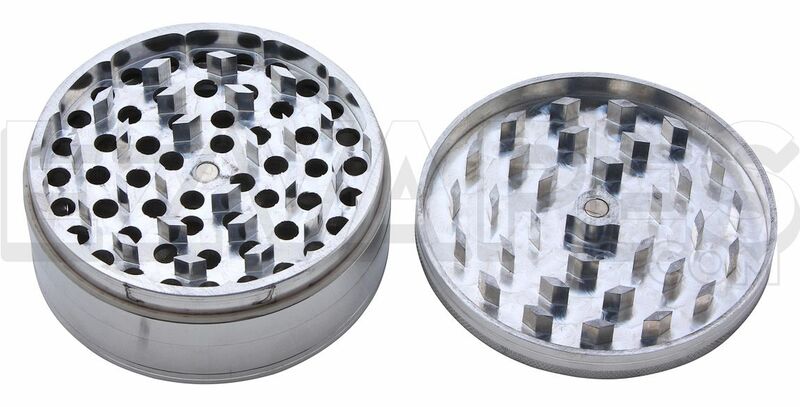 This anodized aluminum grinder, anodizing is an oxidation process that adds a vital extra layer of protection, fights wear and tear very nicely, which is really important since you want to keep this huge grinder looking pretty. The 4 piece grinder includes a magnetically sealed top to stop anything from spilling out if it is dropped, a stainless steel sifting screen and a bottom storage compartment with triangle scraping tool. Even the XXL tag doesn't quite explain how huge this grinder is, measuring in at 90mm (about 3.5"). 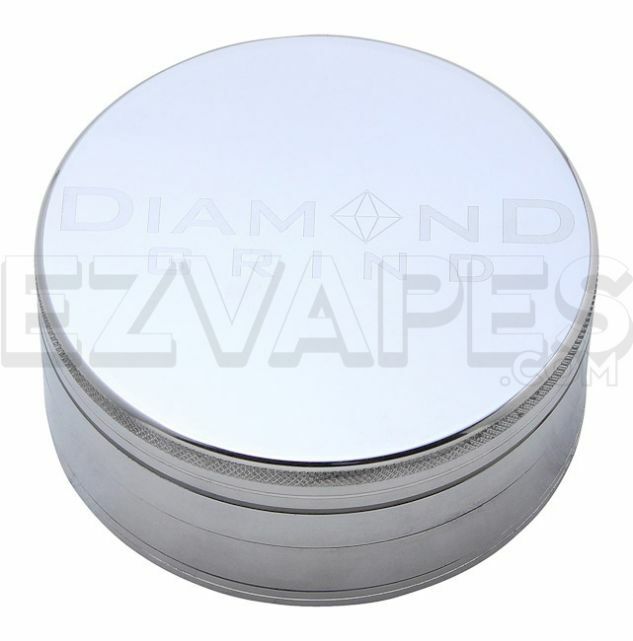 If this grinder isn't big enough for you then we don't know what is.